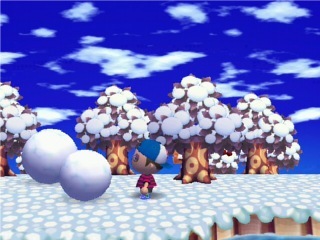 Beginning in the middle of December through the middle of February when there is snow on the ground two tiny snowballs will appear in your town everyday. 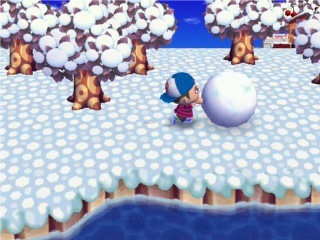 You're able to roll these snowballs which will result in them getting bigger and bigger. You can combine these two snowballs to make a snowman. 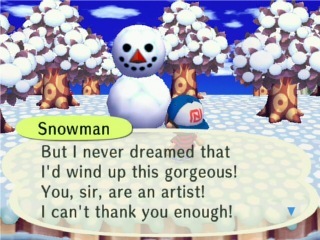 Making snowmen is your only a chance at getting the rare snowman furniture series. However, the snowman needs to be perfect or else he wont send you the gift in the mail the next day. If not, try again tomorrow until you get it.